This is one of two scarves I have in my fall set of 33 items. I adore this scarf! It goes with so many outfits, it's soft and large enough to create many different styles. It's also versatile enough to open as a small blanket if I get really cold, or while traveling. 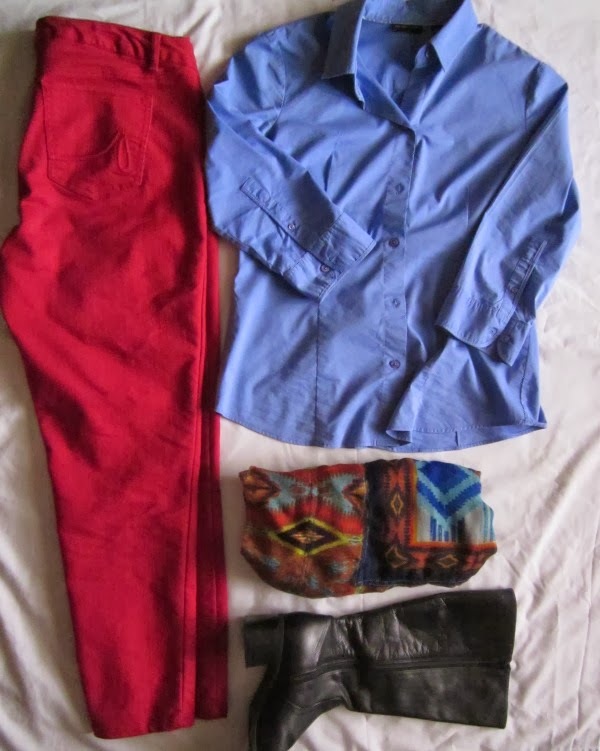 I like how it pulls two solid colored pieces together into an outfit. The cold front continues. I want to believe it's here to stay and that we have moved officially into Fall, but I'm trying not to get my hopes up. I've been majorly cleaning out the house and now I've got boxes stacked in the garage waiting for me to go through them or to be loaded up and carried off to Goodwill. I don't have the excuse of it being too hot out there now, so time to get with it. Do you love wearing scarves? I love the colors - great outfit!